MARLBOROUGH, Mass.--(BUSINESS WIRE)--Hologic, Inc. (Nasdaq: HOLX) announced today that the U.S. Food and Drug Administration (FDA) has granted clearance for its Aptima® Mycoplasma genitalium assay, the first and only FDA-cleared test to detect this under-recognized but increasingly common sexually transmitted infection (STI). 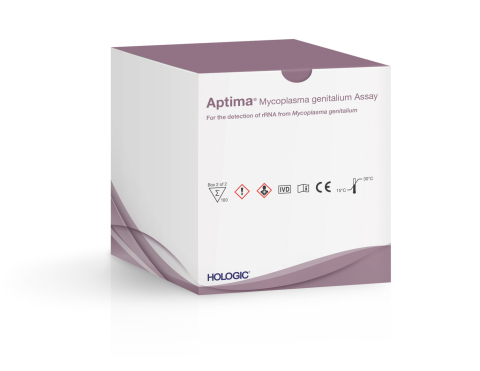 This newest Aptima assay joins a growing suite of market-leading tests offered by Hologic to help combat the rise of STIs in the U.S.
Hologic’s first-in-category assay, cleared through the FDA’s De Novo request process, provides laboratories with a highly sensitive and specific molecular diagnostic method to identify infections and enable effective treatment. First discovered in the early 1980s, Mycoplasma genitalium (M. genitalium) was listed as an emerging public health threat by the U.S. Centers for Disease Control and Prevention (CDC) in 2015.1,2 Current estimates indicate that M. genitalium may affect more than 15 percent of men and women in certain high-risk populations, and its prevalence is growing.3 Because of the lack of an FDA-cleared test until now, M. genitalium has often been misdiagnosed as other STIs and, in some cases, treated with the wrong antibiotics. This often leaves the underlying infection untreated, which can lead to increased transmission and recurrent infections. Including the first IVD for the detection of Mycoplasma genitalium, Hologic’s Panther and Panther Fusion® system now offers 14 FDA-cleared or approved assays that detect more than 20 pathogens, making it the only high-throughput molecular diagnostic platform in the United States to combine comprehensive sexual health, cervical health, viral load, respiratory testing and open channel10 functionality on a fully automated system. For more information on the Aptima assays, visit https://healthdxs.com/en/. Hologic, The Science of Sure, Aptima, Panther and Panther Fusion are registered trademarks of Hologic, Inc. in the United States and/or other countries. * The Aptima Zika Virus assay has not been FDA cleared or approved; this test has been authorized by FDA under an EUA for use by authorized laboratories; this test has been authorized only for the detection of RNA from Zika virus and diagnosis of Zika virus infection, not for any other viruses or pathogens; and this test is only authorized for the duration of the declaration that circumstances exist justifying the authorization of the emergency use of in vitro diagnostic tests for detection of Zika virus and/or diagnosis of Zika virus infection under section 564(b)(1) of the Act, 21 U.S.C.§ 360bbb-3(b)(1), unless the authorization is terminated or revoked sooner. For additional availability in other countries beyond the U.S., please contact your local sales representatives or distributor. 1 Tully JG, Taylor-Robinson D, Cole RM, et al. A newly discovered mycoplasma in the human urogenital tract. Lancet 1981;1: 1288–91. 2 CDC. 2015 Sexually Transmitted Diseases Treatment Guidelines. Emerging Issues. https://www.cdc.gov/std/tg2015/emerging.htm. Updated June 4, 2015. Accessed December 7, 2018. 3 Getman D, Jiang A, O’Donnell M, et al. Mycoplasma genitalium Prevalence, Coinfection, and Macrolide Antibiotic Resistance Frequency in a Multicenter Clinical Study Cohort in the United States. Journal of Clinical Microbiology. 2016; 54(9):2278-2283. 4 Horner P, Martin D. Mycoplasma genitalium infection in men. Journal of Infectious Diseases. 2017. 216 (Suppl 2), S396. 5 Wiesenfeld H, Manhart L. Mycoplasma genitalium in Women: Current knowledge and research priorities for this recently emerged pathogen. Journal of Infectious Diseases. 2017. 216 (Suppl 2), S389. 6 Gatski M, Martin DH, Theall K, et al. Mycoplasma genitalium infection among HIV-positive women: prevalence, risk factors and association with vaginal shedding. International Journal of STD & AIDS. 2011; 22: 155–159. 7 Unemo M, Salado-Rasmussen K, Hansen M, et al. Clinical and analytical evaluation of the new Aptima Mycoplasma genitalium assay, with data on M. genitalium prevalence and antimicrobial resistance in M. genitalium in Denmark, Norway and Sweden in 2016. Clinical Microbiology and Infection. 2018. 24, 533-539. 8 Le Roy C, Pereyre S, Henin N, et al. French Prospective Clinical Evaluation of the Aptima Mycoplasma genitalium CE-IVD Assay and Macrolide Resistance Detection Using Three Distinct Assays. Journal of Clinical Microbiology. 2017. 55, 3194-3200. 10 Open channel functionality on the Panther system is a non-IVD function, which is not cleared or approved by the FDA.